into secure areas of an office or work site. You may use this EAC technology with your employee badge to unlock the entrance to your building. Both EAC and biometrics have the same requirement: the user must validate his or her access before entering. This entry can be validated by several methods: a smart card, a smart badge (with a proximity access technology), key pad entry or a biometric check. Free exit system: There is no requirement for passing out of the secure area. 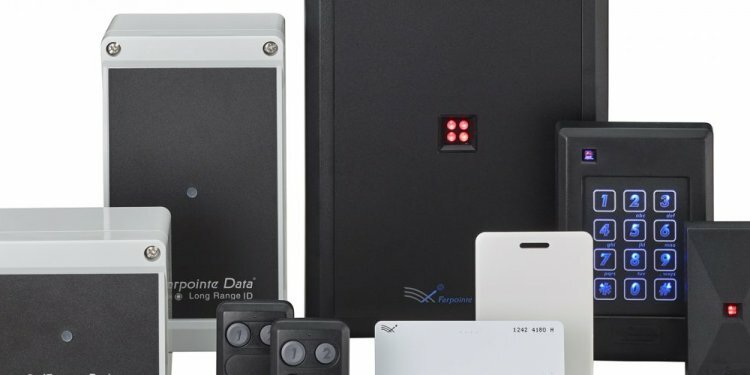 The electronic access control system either detects someone approaching an exit (usually with motion sensors) and unlocks the door, or has a release button or bar that allows people to leave. Controlled exit: This uses the same security for travel in both directions: Employees have to enter the code or wave their card to get in or out of the secure area. By law these systems must be set up to allow people to exit if the system fails or power goes out. So EAC is the security mechanism for access, and biometrics is one of the methods of authentication to enable access to the physical area secured by the EAC.